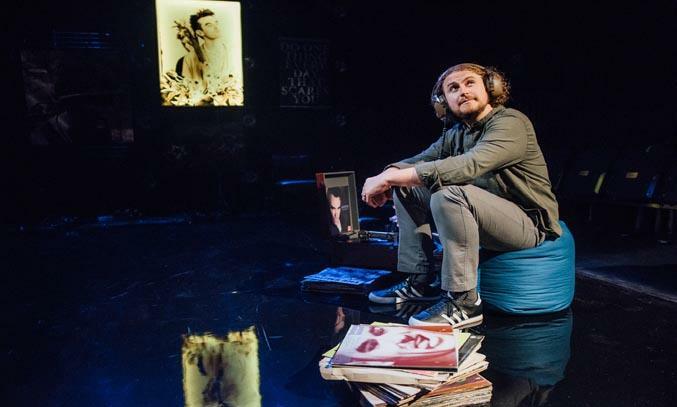 Following its successful run at this year’s Edinburgh Festival Fringe, Gary McNair brings his one-man show LETTERS TO MORRISSEY to Manchester for a week long run at HOME. LETTERS TO MORRISSEY starts back in 1997 with a lonely teenage McNair searching for understanding in a world of confusion. When his school counsellor tells him to find someone he can talk to, the boy chooses The Smiths’ front-man Morrissey – a singer once voted the second most famous cultural icon after David Attenborough. Fast-forward 20 years and McNair finds himself questioning that period in his life and confronting a past hurt that has been trapped deep inside. Powerful, funny and incredibly poignant, LETTERS TO MORRISSEY is a darkly comic and emotive coming-of-age story which draws on the joys and struggles of growing up in working class Scotland. McNair captures how it feels to be spoken to personally by music, his letters anchoring the story of his fandom, from the thrill of first finding the troubled pop icon to the emotional overload of seeing his personal hero perform live at Glasgow’s iconic Barrowlands. Like his previous shows A GAMBLER’S GUIDE TO DYING and DONALD ROBERTSON IS NOT A STANDUP COMEDIAN, LETTERS TO MORRISSEY showcases McNair’s ability as a storyteller. Performed against a simple set with bright neon lights and illuminated Smiths album covers, the award-winning actor and playwright quickly engages the audience, expertly weaving his way through the story and characters, squeezing your heart one moment and making you laugh the next. But in reality, the 65 minute one-man show isn’t really about the former Smiths singer at all. It’s about our desire to be understood and finding false kinship in an icon you don’t actually know. It’s also about confronting the worst thing you’ve done and hoping that you can still be good person. Whether you’re a fan of The Smith’s or not, LETTERS TO MORRISSEY is sure to resonate. A humorous yet touching love letter to music with a moral dilemma at its heart. LETTERS TO MORRISSEY runs at HOME until 16 September 2017.